The Anlin Catalina window is the company's entry level vinyl window model. It includes a host of additional ordering options that includes fourteen frame color options, two window glass packages, two casing styles, five hardware materials and 3 grid patterns. The Catalina is available as a single hung, slider, picture window, combination, as well as a number of geometrical shapes and options. The Catalina has a frame depth of 2 7/8" and an extrusion thickness of .080 inches. In addition, the window uses a double strength glass, has equal sightlines, a single vent latch, silver coated glass and a Platinum Elite spacer system. With the standard low-e glass and argon fills on the Catalina single hung window, consumers can expect .31 U-factor, .22 SHGC, .52 visible transmittance and 56 condensation resistance. 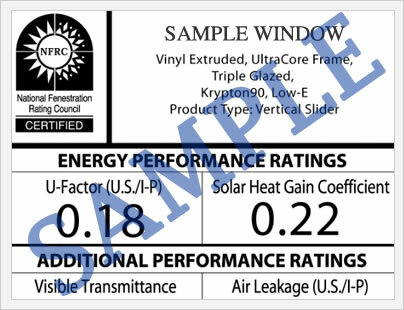 The upgraded window glass with the argon fills in the double hung will have a .26 U-factor, .24 SHGC, .41 visible transmittance and 48 condensation resistance. These are impressive numbers for an entry level vinyl windows. The Anlin Catalina window comes with the company's Limited Lifetime Warranty that covers the mainframe, sash and all other components for the life of the window. The company also includes accidental glass breakage. The warranty is completely transferrable for the first 15 years from the date of purchase. All in all, the company offers a quality and comprehensive warranty. Of course, there are exclusions and limitations that consumers should read thoroughly before purchasing the Catalina Series. 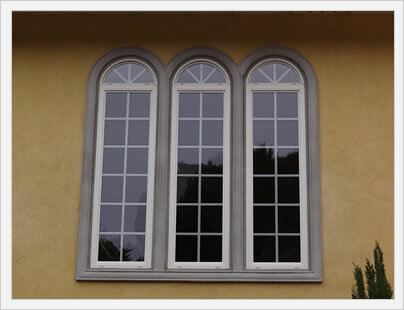 Do you have an Anlin Catalina window review to share? We'd love to hear your opinion on this vinyl window, regardless of whether you've loved it or hated it. Question on a question about the Catalina window series? Our editors can answer most of your questions on their entry level vinyl window model.